The grave of the Rev. 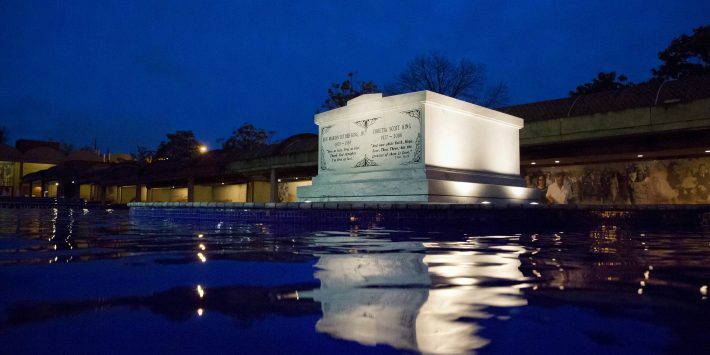 Martin Luther King Jr., stands amidst a reflecting pool at dawn on the 50th anniversary of his assassination in Atlanta, Wednesday, April 4, 2018. 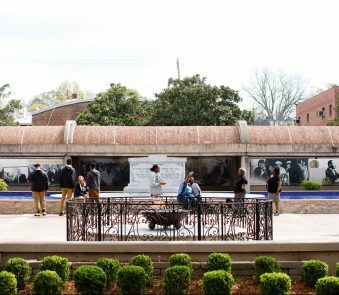 The commemorations stretch from his hometown of Atlanta to Memphis, where he died, and points beyond. Among the first events is a march led by the same sanitation workers union whose low pay King had come to protest when he was shot. Another event will kick off about the same time in Atlanta, where King’s daughter the Rev. Bernice A. King is moderating an awards ceremony in his honor. The Memphis events are scheduled to feature King’s contemporaries, including the Rev. Jesse Jackson, the Rev. Al Sharpton and U.S. Rep. John Lewis, along with celebrities such as the rapper Common. 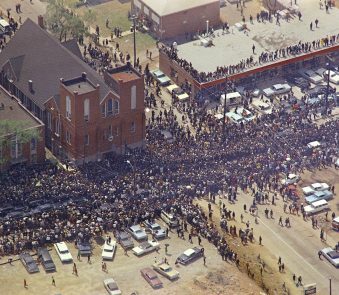 In the evening, the Atlanta events culminate with a bell-ringing and wreath-laying at his crypt to mark the moment when he was gunned down on the balcony of the old Lorraine Motel on April 4, 1968. He was 39. Americans on issues from housing to education to wealth. 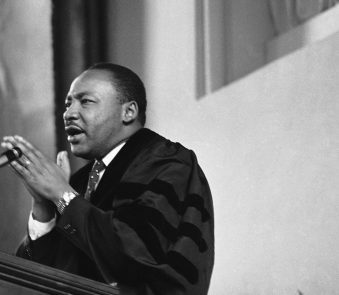 But rather than despair, the resounding message repeated at the church was one of resilience, resolve, and a renewed commitment to King’s legacy and unfinished work.